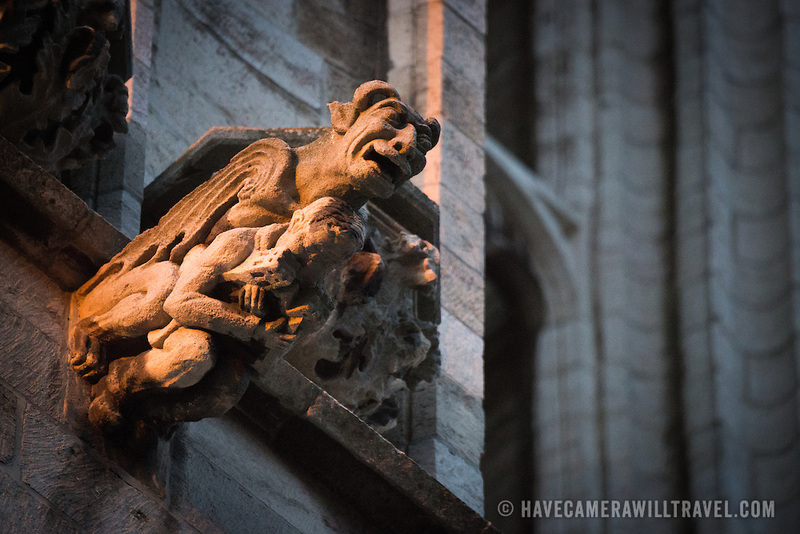 A gargoyle on the exterior of the Cathedral of St. Michael and St. Gudula. Standing prominently on a hill in central Brussels, the current cathedral dates back to the 13th century, although a church has been on this site at least since the 11th century. It is the national cathedral of Belgium and site of royal coronations and weddings.